As crafty as you maybe, sometimes there is just not enough time to do all those diy wedding projects you envisioned. 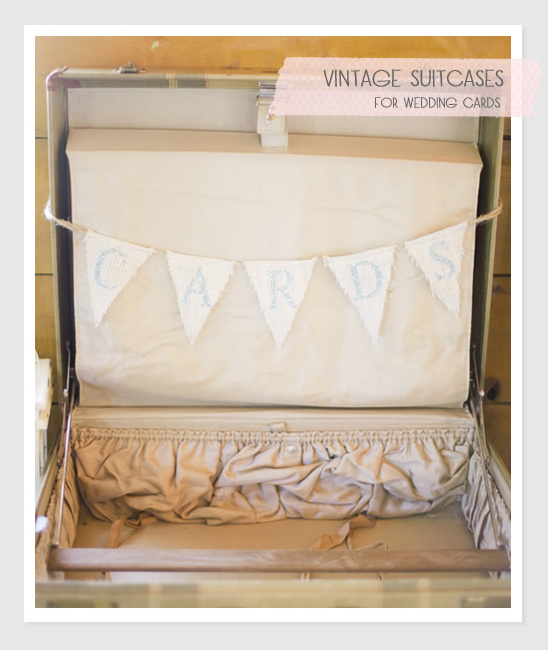 If a vintage suitcase for your wedding cards was on your list, we found a few that are ready to ship. Saving you hours of time on thrifting for a suitcase and crafting a card sign. If you just so happen to have that perfect vintage suitcase, we did you give an idea how much just a bunting sign would be. Be sure to see the wedding that the above suitcase came from with the sparkly blue card sign. 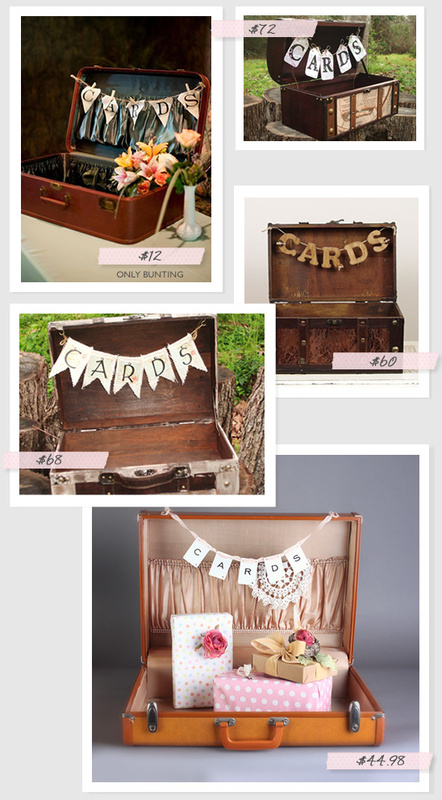 Just The Bunting Sign | $72 for a travel themed vintage suitcase | $68 for a Shabby Chic Wedding Card Box | $60 for a Rustic Wedding Trunk Card Box | $44.98 for a small brown suitcase.